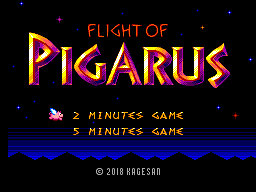 Flight of Pigarus - Homebrew - SMS Power! 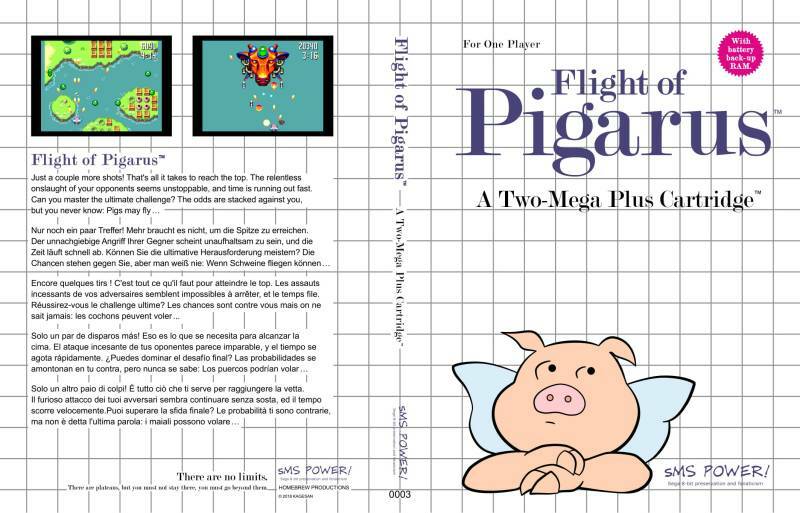 You are Pigarus, the flying pig. Choose either 2 or 5 minutes mode and try to score as many points as possible in the time given. If you can, set your system or emulator to 50Hz/PAL. If SRAM is not fully supported by your emulator or flashcart, highscores and the replay feature might not work properly. See the downloaded zip for a PDF version. 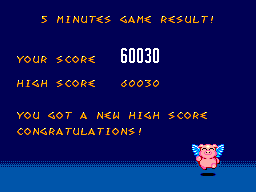 You are Pigarus, the flying pig. Score as many points as you can in the allotted time. The level of power you start the game with is 2. 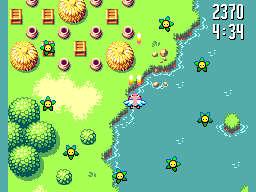 Losing all of your power will result in GAME OVER being displayed on the screen. The game also ends if the timer reaches zero. This will result in TIME OUT being displayed on screen. 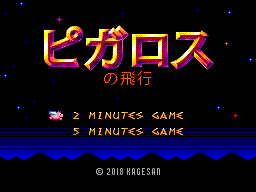 On the title screen, choose either 2 minutes mode or 5 minutes mode. 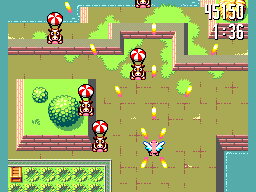 In the game, try to cause as much destruction as possible. Wave after wave of enemies will try to stop you. The faster you can destroy them, the faster new enemies follow. Don't forget to destroy as many ground targets as possible, too. Crates and pots may not yield many points individually, but they are plentiful. Pay special attention to chests. They release bonus jewels, which increase your score upon collection. 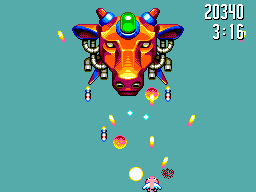 Finally, power pyramids release power capsules when cracked open, which increase your firepower. There are two types of items you should always try to collect. These increase your fire power. Get them from power pyramids on the ground or from flying powerup carriers. 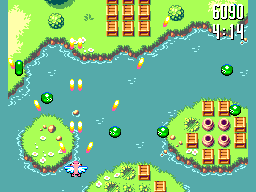 The game saves the highest score for each of the two game modes. It also saves a replay of the current highest scoring runs. 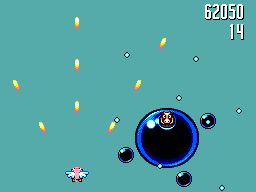 To watch the replay, move the selector on the title screen to the desired mode, but do not push the START button. Instead, wait until the music stops. If a replay is available, it will start then. If no replay is available, the game will reset. If you want to delete your high scores and the saved replays, press LEFT and BUTTON 1 and BUTTON 2 at the same time on the controller in port 2. Move right in the middle of danger.